"The New Century Version is the translation that many pastors have trusted for years. This easy to understand translation has sold more than 6 million copies since its inception. Whether you're a first-time reader of the Word or a lifelong student, the NCV is an ideal resource – maintaining the integrity of the biblical text without complex theological vocabulary. The New C "The New Century Version is the translation that many pastors have trusted for years. This easy to understand translation has sold more than 6 million copies since its inception. Whether you're a first-time reader of the Word or a lifelong student, the NCV is an ideal resource – maintaining the integrity of the biblical text without complex theological vocabulary. I've finished! Right at 6 mos, too. This is the way to read the Bible because skipping around, reading only a verse here or there does stir up questions and confusion. Reading each book and taking notes helps to find answers and is so personal. Won't say alot about what I've learned because everyone should read and learn for themselves but I will say this much ... there is a mention of some ancient "sea monster" destroyed by God - I admit, I balked at this as what? Greek mythology? and then with I've finished! Right at 6 mos, too. This is the way to read the Bible because skipping around, reading only a verse here or there does stir up questions and confusion. Reading each book and taking notes helps to find answers and is so personal. Won't say alot about what I've learned because everyone should read and learn for themselves but I will say this much ... there is a mention of some ancient "sea monster" destroyed by God - I admit, I balked at this as what? Greek mythology? and then within days of reading another reference to this creature the fossilized skeleton of a huge fish - larger than any living whale - was found on the coast of South America. Cool, huh? Pleased that I've read all of the New Testament and have now started the Old. Think I'll have it read through in it's entirety well under 6 months? Good. Then will read again by another approach. The New Testament I read from shortest to longest books. Learned that Galatians and Thessalonians I and II are believed to be the oldest of Paul's letters. Are Ephesians and James are my favorites? Acts was Grandpa Talley's personal favorite and I got much from it, too. Now with the Old Testament I'll read oldest book to newest. Didn't know the books are not in chronological order as of date written. Job is the oldest, written 2000 to 1000 BC. My son (who has been better at Bible study than I have) was blown away by this man's devotion to God despite all his sufferings. Now I guess I will be, too. Our old study edition answers the questions: who wrote this book, to whom is it written, when was it written, what is it about, why was it written and what does it mean to us? And there is a summary at the end of each book introduction - a big help in understanding the history of early Christianity and how the good news of that day still applies to this day and generation. With Father’s Day just a little over a week away, this is the perfect time to consider the Dad’s Bible, New Century Version, with study notes by Robert Wolgemuth. Although I was not especialy impressed with the NCV translation–it was simple to understand but lacked the flow and poetry of some other English language Bibles–Dr. Wolgemuth’s comments helped me understand the Bible in a fresh way. For instance, in his introduction to the book of Genesis, Dr. Wolgemuth writes, “[A]lthough this may be ha With Father’s Day just a little over a week away, this is the perfect time to consider the Dad’s Bible, New Century Version, with study notes by Robert Wolgemuth. 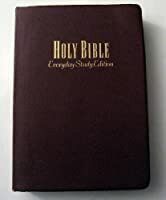 This Bible includes notes sorted into the following categories: walking in authority; Godly character–thoughts based upon the fruit of the Spirit; passing it on–how to share your faith with your children; dads in the Bible; building your children; insights–how to apply the Bible to home and work; Q&A; and a topical index. It is distracting that these notes don’t always appear on the same pages as the passage upon which they are based. However, they helped me apply what I read in the Bible to my role as a father to my children. This book is a great gift for the special dad in your life. Just don’t plan to use it as a daily use or study Bible. 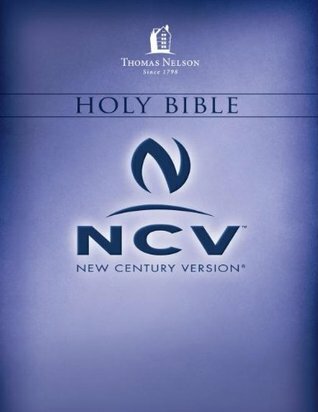 Full disclosure: I received a free copy of this Bible from Thomas Nelson Publishers in exchange for an unbiased review. Best book I've ever laid hands on. It's easy to understand, and it changes my life daily. I recommend EVERY teenage girl who is looking for guidance and understanding about life to get this Bible. You can purchase it at Morning Star and if there isn't a Morning Star in your state, I'm sure they sell it at Borders Bookstore. You can always purchase it online too. Don't wait another second, go grab it! I can be brave because God is always with me forever. I opened the Bible and saw that the pages, the inserts and the devotions are color coordinated with the outside of the Bible. I think that helps significantly in this world of ‘small bites’ of information. No big white pages packed with tiny text here. Beautiful color insets, devotions and flourishes across the page add a nice touch. Still, reading the actual text I realize that there was a lot more than just form put into this Bible. There’s a lot of function and forethought that went into this Bible. It has a devotion for every day of the year. I love that the devotions are right there in the word. As I was glancing through them, I was excited to see how this could make reading every day much easier. The devotions I found were relevant, timely and synced up well with the scriptures where they were placed. The Bible also contains several full color inserts that delve deeper into issues that are relevant to teens. Things like God vs. Science, relationships, wisdom, trivia and virtue building are scattered throughout the word, giving girls more chances to tie the scriptures into their daily lives. The end has a full concordance and dictionary to give even more opportunity for study and research. As teens develop into deeper relationships with God, this Bible is a perfect companion. And it comes with a full lifetime guarantee from Thomas Nelson. (The leather version.) That means the investment you make into your teen’s future is guaranteed – both with the Bible itself and with the word of God. I love this Bible so much that we’ve even ordered other copies for my daughter to give to unsaved friends. I cannot more highly recommend a Bible for teen girls than this one. The Dad's Bible: The Father's Plan with notes by Dr. Robert Wolgemuth is a bible designated specifically for fathers. If you are an expectant father or you've been a dad for many years, this Bible offers many lessons, instructions and encouragement to help you become a more godly man and role model for your children and/or grandchildren. The Dad's Bible is published in the New Century Version, meaning it is very easy-to-read and makes comprehension more viable. I had the pleasure of previously re The Dad's Bible: The Father's Plan with notes by Dr. Robert Wolgemuth is a bible designated specifically for fathers. If you are an expectant father or you've been a dad for many years, this Bible offers many lessons, instructions and encouragement to help you become a more godly man and role model for your children and/or grandchildren. The Dad's Bible is published in the New Century Version, meaning it is very easy-to-read and makes comprehension more viable. I had the pleasure of previously reviewing the Mom's Bible: God's Wisdom for Mothers with notes by Robbie Wolgemuth. And, I was equally excited to be able to review the Dad's Bible for Book Sneeze along with my husband.He did not own a NCV Bible and appreciated the thought and hard work that went into creating this translation. He agrees that it is very easy-to-read. We both appreciate the many features: Insights, Godly Character,Walking in Authority, Dads in the Bible, Question and Answer Resource, Passing It On and the Topical Index. Similar to the Mom's Bible, you will find the Question and Answer Resource. Each answer will have a scriptural based answer for the tough questions that children sometimes ask. I am sure you will find answers to questions you were not familiar with as well. Here are a few questions that your child may ask: "What is an idol? ", "How big is God? ", "Why do I sometimes feel that God is not there?" and many others. I like the accountability feature called Passing It On because it challenges dads to live their lives in faith and to allow their children to see them living for God. The Dads in the Bible profiles many fathers in both the Old and New Testament. I like how the Topical Index lists the Dads in the Bible with phrases like : Adam, the Wimpy Father and Mordecai, the Adoptive Father. I used this Bible all throughout my high school years and some college. It is truly a perfect Bible for teen/young adult women, and becomes a great tool and foundation for a personal relationship with Christ. Every time I read this Bible, I was able to identify with the "daily devos" and I loved learning about "ladies in the Bible." It also offered useful insight on the context/authors/dates of each book of the Bible. I highly recommend this Bible for any teen/young adult woman. Well it's been a long hard road but I'm getting there. I haven't been as faithful to my daily reading as I should be but I've still managed to read ALOT!!! I decided against reading cover to cover as I got too bogged down in the history so I've been bouncing back and forth from the O.T to the N.T. I don't know if I'll be finished by the 31st as I'd planned but I'm going to try! So far I've read the New Testament and a chunk of the Old. It's exciting when I find parts that I remember from church, and flooring how much more else there is. excellent translation. makes sense and at the same time, is elegant enough. This is a great Bible with lots of good features. Reading the bible all the way through was tough, but definitely worth it! Seeing the story play out just further builds my faith and belief in my God! "All Scripture is inspired by God". How could I give it anything less? This Bible does a great job of showing the links between Christianity and social justice. I like its commentary. What can I say? God is always 5 stars with me! It's the bible what can I say, but I like the funky layout and it's very colorful, although I'm not a teen. I highly recommend this bible for any woman 12 and up. It is simple enough for teens and young students yet deep enough to use as a source for older women and teachers. It's just brilliant! I'm not really a paraphrase fan, so this version was only OK for me. This is a basic modern Bible. Think of this as the Bible for someone with a sixth grade reading level. Not my favorite version. Would recommend this to someone just starting their walk with Jesus.